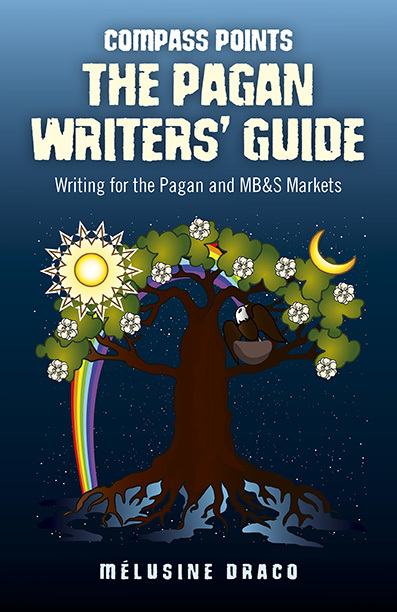 If you have never had a book or even a magazine article published, but think you would like to have a go at writing for the pagan or Mind, Body Spirit market, The Pagan Writers' Guide: Writing for the Pagan and MBS Publications is what you should read before you start typing your magnum opus. Aimed at novice writers, it offers really practical advice on how to get into print, whether you see yourself as a writer of fiction or non-fiction. Rather than dealing with the subject in the way that an English teacher might teach creative writing at school or evening class, author Melusine Draco concentrates on how to give magazine editors or book publishers what they want. Publisher Compass Books says on its website: "Writing for the pagan community is no different from writing for any other readership – but we need to learn the basic rules before deciding whether we have any talent worth pursuing. Regardless of our own personal levels of esoteric learning, we need to go back to the basics of creative writing and see what tricks of the trade we can utilise. We will see why editors and publishers are inundated with submissions of a certain kind – and what we can do to give our writing ‘editor appeal’. We will learn how to develop ideas via lateral thinking, and develop the art of ‘seeing’ through an editor’s eyes." The Pagan Writers' Guide looks at things like the importance of doing research before you begin. That means both knowing your subject and knowing what kind of thing will appeal to the publishing house you are writing it for. Melusine explains just how the publication process works and what to expect when you send a proposal to an editor. The book ends with interviews of several editors from different pagan, occult and MBS lines asking them what they are looking for and - importantly - what will quickly get rejected and end up on the spike. Author Melusine Draco is the editor of quarterly creative writing magazine The New Writer and is the author of Shaman Pathways: Aubry's Dog, Shaman Pathways: Black Horse White Horse, and Pagan Portals: By Spellbook and Candle.